Cricket is very popular in United Kingdom, Australia, Pakistan and India, to name only a few countries, but one of the best streaming solutions to watch cricket matches is only available in the United States. That solution is Willow TV and although currently the service can only be accessed within the United States, there is hope for cricket fans around the world. You can use a VPN service to overcome the restrictions, all you need to do is to choose a high quality provider and connect to a server in the United States. This will allow you to access Willow TV and enjoy all the content that it offers, including cricket matches. 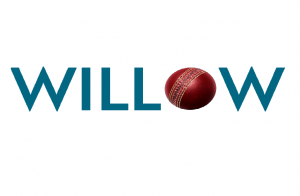 Willow TV online is the streaming service that allows people in the United States to enjoy the best cricket games from around the world. This platform supports a variety of platforms including Android, iOS, Windows, Apple TV and Smart TV. If you try to access Willow TV from outside the United States, you will face blocks because the service is only meant to be available in that country. The easiest way to defeat these blocks is using a VPN service. VPN stands for Virtual Private Network and it is an effective method to overcome online restrictions because it masks your real IP address and location. You can appear as if you were located in a different country and enjoy access to content that is not available in your current physical location. This is because when you use a VPN and connect to a server in a different location, your IP address changes to reflect the location of that server. If you connect to a US VPN server, you will get an IP address from that country. This will give you the chance to access the content that is available there. The process to sign up is pretty much the same, regardless of the VPN service that you choose. First you need to select a plan, pay, register and once you have downloaded the VPN software, you can access the network of servers. To be able to unblock Willow TV from outside the United States, you need to connect to a server in that country. This will allow you not only to access Willow TV, but any other streaming service that is only available in that country such as Hulu, Sling TV and Pandora. We advise you to consider the below VPN providers as they offer great speeds for streaming, reliable performance and strong level of protection for your privacy. ExpressVPN is one of the best solutions to get around online restrictions that prevent you from watching the content that you want. It is fast, it has excellent software and it uses high encryption to keep your internet traffic protected. You can connect to servers in over 90 countries. In the United States, ExpressVPN has servers in multiple cities, including San Francisco, New York, Los Angeles and Atlanta. ExpressVPN is an incredibly fast solution and it doesn’t keep logs of what you do online. NordVPN is recognized for its strong policies regarding privacy protection. This provider is a zero logs solution, meaning that it doesn’t keep any logs at all. You can connect to servers in over 60 countries including the United States, of course. NordVPN supports advanced security solutions like double VPN encryption and Tor over VPN. While those options are great if you want top security for your information, they slow down your connection significantly. If your main focus is to defeat restrictions to stream matches via Willow TV, don’t worry, NordVPN also offers ultra fast servers for this purpose. With PureVPN, you can get access to servers in over 140 countries, which means that this is one of the best providers for people looking for a wide range of options in terms of global coverage. In United States, you can find servers in several cities including Miami, New York, Chicago, Houston, Phoenix and San Francisco. PureVPN has a dedicated feature to enable fast streaming as it lets you load content faster. PureVPN gives you the chance to watch the best cricket matches on Willow TV and it doesn’t keep logs of your activities. TorGuard is another great solution to bypass restrictions as it uses advanced technology that will allow you to get around geographical blocks so that you can access Willow TV from anywhere in the world. TorGuard has stealth servers that allow you to bypass blocks and Deep Packet Inspection firewalls without problems. Viscosity software is also included in their plans and your online traffic is protected with high encryption, helping to ensure that your privacy is not compromised. Currently, TorGuard has servers in over 50 countries and in the United States, you can connect to servers in Los Angeles, Las Vegas, New York, Chicago, Seattle, Miami and Dallas.